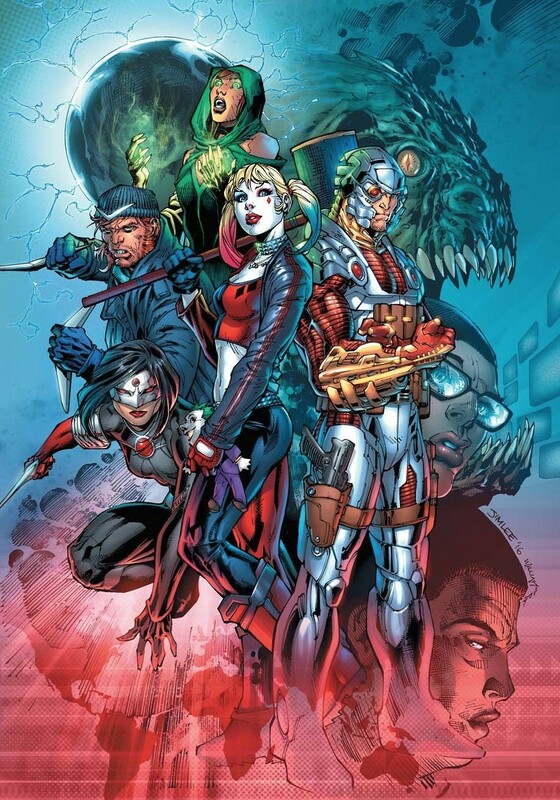 Coming directly from the back-pages of DC Comics, is what we can expect from the upcoming “SUICIDE SQUAD” series. It is taken word for word, from DC Comics. Jim Lee knows what you are thinking. Jumping on as the ongoing artist of a twice-monthly shipping SUICIDE SQUAD? The often-at-the-drawing-board Co-Publisher of DC Comics might be just as suicidal as the characters he’s beginning to draw. Teaming with writer Rob Williams on the script and rotating with artist Philip Tan, Lee says the foundation of the new Squad book rests on the trio’s ability to tell seamless stories. “I was excited by the opportunity to collaborate with Rob Williams, a writer I’ve been following and admiring for years, who’s done very creative, interesting work,” explains Lee. “The fact that Philip (Tan) is local, makes SUICIDE SQUAD more exciting for me, because we can get together and go over layouts and tighten up the continuity of the book. “Unlike a lot of franchise books, the premise of SUICIDE SQUAD allows for characters to be killed. That brings a gravity to every situation thays distinguishable from the rest of the line. SUICIDE SQUAD #1 Will be available August, 17th. Reserve your copy now! To read other DC UNIVERSE’S “SPOTLIGHTS,” click here. Be sure to like our Facebook and Twitter, as well!